An improveable Farm (with the Capital Messuage, two Barns, Stables, and other Out-Buildings, forming a Quadrangle, which makes a warm and commodious Fold) situate in the several Parishes of Bosbury and Bishop’s-Froome, adjacent to the new Turnpike Road now forming between Worcester and Hereford, being five Miles distant from Bromyard, and five from Ledbury; consisting of 140 Acres of Arable, Meadow , and Pasture Land, well fruited and watered, nine Acres of which are well planted with Hops, and several Acres of the land Tythe-free, with Marle and Lime-Stone upon the Premisses and many Advantages too tedious to insert. The coming-on Tenant is to have the Liberty to enter on the Hop-Ground, and prepare his Land for Lent Tillage, in November next. Particulars may be had of Mr. Thomas Nash, Surgeon, in Bromsgrove; or Mr. William Baylis, Dyer, in Worcester. At the Crown Inn, in Bosbury, in the County of Hereford, on Monday next, the 25th Day of March Inst between the Hours of Three and Five in the Afternoon, according to Conditions of Sale then to be produced, A Messuage or Tenement, called Arnolds, with convenient Out-Buildings, and about thirty Acres of Arable Land, Meadow, Pasture, and Hop Ground, adjoining together, and planted with the choicest Fruits; situate in the Parish of Bosbury aforesaid; now in the Occupation of John Kendrick, who holds the same by a Lease for a certain Term of Years, whereof four are yet unexpired — The greatest Part of the Premisses are Freehold, and the Residue thereof Copyhold of Inheritance, held under the Bishop of Hereford. Further Particulars may be had of Mr. Godfrey, Attorney, at Mathon,on Mondays; or at the Green Dragon, in Ledbury, on Tuesdays. A considerable part of the premises is planted with exceeding good fruit trees, now in their prime.—The dwelling-house and buildings are in extreme good repair, a large ſum of money having been lately expended thereon.—There are upwards of 220 fine Oak timber trees growing on the premiſes, which must be purchaſed ſeparately, or reserved for the use the present proprietor. This eſtate is situate on a delightful eminence, and in the moſt pleaſant and fruitful part the county of Hereford. For a view of the premiſes, and further particulars, apply to Mr. Johſon, Attorney, in Hereford. All that Messuage or Tenement and Farm, called THE UPPER HOUSE, with the Lands and Appurtenances thereto belonging, situate in Catley, in the parish of Bosbury, in this county; now in the occupation of John Baggott. Mr. Hardwicke, of Bosbury, will shew the premises; and for particulars apply to Mr. Bird, Attorney, in Hereford. All that Messuage or Tenement in Upleaden, in the parish of Bosbury aforesaid, formerly divided into two Tenements, and commonly called GREAT ALWAYS and LITTLE ALWAYS, with the lands and appurtenances thereto belonging, containing about 30 acres, more or less. Also, A Messuage, situate in Upleaden aforesaid, called BEARESEND, alias OCKERHILL, with the lands and appurtenances thereto belonging, containing about nine acres and an half. Mr. Palmore, the tenant, will shew the premises and for further particulars enquire of Mr. Long, Attorney at Law, Upton-upon-Severn, Worcestershire. LOT 1. A Freehold Tenement and Lands, called STANLEY-HILL now in possession of Benj. Parsons. LOT 2. A Freehold Tenement and Lands, called OWZWELLS-NEST, now in possession of Wm. Hill. LOT 3. A FREEHOLD TENEMENT, now in possession of Benjamin Jenkins. LOT 4. TWO HOUSES, with gardens, &c. in Bosbury, now in possession of Mary Tyler and Mary Knott. LOT 5. One inclosed Croft, and feveral small Pieces of Land, in a common field, called Barland Field. N. B. The two last Lots will be divided, if more agreeable to the purchasers. The above premises are all in the parish of Bosbury, and within four miles of Ledbury. Joseph Chadd will shew the premises; and for particulars enquire of Mr. William Wainwright, at Hereford. LOT 1. A Dwelling house, with the garden, orchard, buildings, and appurtenances thereto belonging, in the occupation ot Robert Lucas. LOT 2. A Barn and Cider-mill, with two closes of arable land thereto adjoining, containing by estimation six acres, in the occupation of William Palmer. The above premises arc well planted with Fruit Trees perfection, and capable of producing upwards of thirty hogsheads of prime Cyder and Perry in a year. Lot 2. All that Cottage, with the Garden and two small Orchards thereto belonging, situate in the parish of Bosbury, near Bentley’s Farm, containing by estimation One Acre and a Half, now in the occupation of William Perks, at the yearly rent of 3l. 15s. Lot 3. All that Parcel of Arable Land, well planted with Fruit-trees, situate in the parish of Bosbury aforesaid, by estimation Three Acres, now in the occupation of William Palmer, as tenant thereof, at the yearly rent of 2l. 2s. Lot 4. All those Three Messuages, Dwelling Houses, or Tenements, Garden, and Orchards, situate in the village of Bosbury, containing by estimation Half an Acre, now in the possession and occupation of Mr. James Smith, the Proprietor, and his tenants William James and Joseph Chadd. N.B. The last three Lots are Copyhold of Inheritance of the Manor of Bosbury, Colwall, and Coddington, and very little inferior to Freehold. Mr. James Smith, the Proprietor, will shew the premises; and further particulars may be known by application to Mr. Thomas Nott, Attorney at Law, Ledbury, Herefordshire. TWO Freehold Messuages or Tenements, with the Outbuildings, Gardens, and Appurtenances thereto belonging, situatc near to the village of Bosbury, and called or known by the names of the OLD HOUSE AND RED HOUSE. For further particulars apply to Mr. Leonard Hill, Cradley; or Robert Penrice, Attorney, Droitwich. THE GREAT or RECTORIAL TITHES, ariſing from nearly Three Thouſand Acres of very productive Land, within the Divisions of Boſbury and Upleadon, in the pariſh of Bosbury, in this county. ☞ Further particulars may had of Mr. Fallowes, Attorney, Hereford; Meſſrs. Kent, Claridge, and Pearce, London; Mr. Holbrook, aud Mr. Recce, Attornies, in Ledbury, Agents for the Proprietors. situate in the division of Upleadon, in the parish of Bosbury, in the said county of Hereford, now in the occupation of Mr. John Alcott, for a term of Three Years, which expires at Candlemas next. The Estate is very improveable, and the greatest part thereof planted with the best sort of Fruit Trees, now in their prime, which, in a bearing year, are capable of producing Forty Hogsheads of Cider and Perry. Mrs. E. Hill will shew the premises; and further particulars may be had of Mr. Reece, Attorney, Ledbury. At the White Lion, in Ledbury, on Tuesday, the 8th Day of April next, at Five o’clock in the Afternoon, under Conditions to be then produced;—153 OAK TIMBER TREES, fit for Naval and other Purposes; Scribe marked, and growing on Cold Green Estate, in the Parish of Bosbury, in the County of Herefords, next to a Turnpike Road, and within four Miles of the Hereford and Glocester Canal. For a View of the Timber and further Particulars, apply to Mr. Holbrook, Attorney, in Ledbury. At the Sign of the Harrows, in the town of Ledbury, in this county, on Tuesday, the Nineteenth day of August, 1806, at Four o’clock in the Afternoon, under Conditions of Sale to be produced. with the garden, Barn, Cider-mill, Mill-house, and about Five acres of rich Meadow and Arable Land thereunto adjoining, the whole planted with the choicest Fruit Trees, now in full bearing, and capable, in a fruitful year, of producing upwards of Forty Hogsheads, now in the possession of William Palmer. For a View of the Premises apply to Mr. Samuel Loggen, of the Bell Inn, in Bosbury aforesaid; and for further Particulars to Mr. W. Holbrook, Solicitor, Ledbury. TWENTY-eight fine MAIDEN OAK TIMBER TREES, and Eight good OAK POLLARDS growing on Nelmes Estate, in the Parish of Bosbury, many of which are fit for Naval purposes. Mr. Williams, the Tenant at Nelmes, will show the said Timber: and for other Particulars apply to Mr. Homes, Attorney, at Pool-end; or the Auctioneer, in Hereford. ALL the entire Valuable HOUSEHOLD FURNITURE, and Part of the STOCK on the Farm, of John Stedman, Esq. at Bosbury in the County of Hereford, within three miles of Ledbury and eight of Bromyard, who is leaving the same; comprising Four-post and Canopy Bedsteads, with Mahogany inriched Front Pillars, with fine Chintz, Dimity, and other Hangings, and Window Curtains to match; superfine seasoned Goose and Down Feather Beds, Bolsters, and Pillows; Marseilles Quilts and Counterpanes; fine Witney and York Blankets; Turkey, Persia, and, Kidderminster Floor, Bed-round, and Stair Carpetting; Pier, Swing, and Dressing Glasses; Hair, Wool, and Flock Mattresses, Mahogany, and Satin-wood Cumberland, Dining, Sideboard, Pembroke, Card, and Pillar Tables; Chairs and Sofas, with Damask and Satin-hair Seating; handsome Library Bookcase, with Glass Doors and Silk Shades; valuable Clock in elegant Case, with Organ Tunes, remarkably fine toned; Mahogany Wardrobes; double and single Chests with Drawers; Night Tables, Pot Cupboards, and Basin-stands; Glass and China; with an Assortment of Kitchen, Dairy, and Brewing Requisites; several Dozen of Glass Bottles; about Twenty valuable Iron-bound Casks from 500 to 600 Gallons each, some of them filled with fine-flavoured Cider and Barland Perry; likewise about Fifty Casks, from 250 Gallons to 100, with smaller ditto, Tubs, &c.; several Melon and Cucumber Frames, with double and single Lights; Greenhouse Plants with Stage;—Two Wagons, Three Carts, Ploughs, some Kiln and Cider Hairs, Bags, and Hop Sacks, with various Implements in Husbandry; about Sixty Thousand Hop-poles, &c. &c. as will be expressed in Catalogues, that may be had in due time, at the principal Inns in Ledbury, Malvern, and Bromyard; at the place of Sale; and of the Auctioneer, Foregate-street, Worcester. The Sale to commence each Morning precisely at Ten o’clock, and to continue without intermission till it is over. The several Valuable ESTATES of the said JOHN STEDMAN, Esq. situate in the fertile and rich parish of Bosbury, which consist of about Eleven Hundred Acres of Land.—Place of Sale, and other Particulars, will be given in the Worcester and Hereford Papers. Consists of a Valuable Modern-built Mansion-house, replete with every Convenience suitable to a large and genteel Family, with a large pleasure and kitchen Garden, walled, and clothed with the best and choicest Fruit, now in full Bearing, with Green-house, coach-house, Stabling, barns, Hopkilns, and other useful Offices, the whole, in complete Repair; and 150 acres, more or less, of rich Arable, Meadow, pasture, Hop Land, and Orcharding, in a flourishing State, late in the occupation of JOHN STEDMAN, Esq. Known by the name of THE RAZEES Possession of this Lot may be had immediately. Consists of a Decent Farm-House, Barns, Stables and other necessary Outbuildings, with 108 Acres, more or less, of rich Arable, Meadow, Pasture, Hop Land and Orcharding, known by the Name of LOWER TOWNING, now in the Occupation of Mr Thomas Chetwynd, whose time expires at Candlemas next. Likewise consists of a Decent Farm-house, Barn, stable and outbuildings, and 83 acres, more or less, of fertile arable, meadow, pasture, orchard and hop land, known by the name of UPPER TOWNING, now in the occupation of Mr. Herbert Price, whose time expires at Candlemas next. Consists of a valuable farm, comprising a good farm-house, on a large scale, with extensive buildings, and upwards of 370 acres, more or less, of extreme rich arable, meadow, pasture, orcharding and hop land, the whole neatly within a Ring fence, forming together one of the most productive estates in the county of Hereford, and is tithe-free; known by the name of THE OLD COURT, now in the occupation of Mr Bosworth, under lease of which about thirteen years are unexpired. 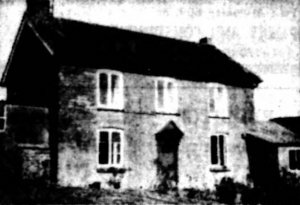 Consists of a new-erected farm-house, with extensive outbuildings, in good repair, and upwards of 244 acres, more or less, of arable, meadow, pasture, hop land and orcharding, and very valuable coppicing, within a ring fence, known by the name of THE NASHEND, in the occupation of Mr Barrett, about 16 years unexpired. All the above estates are contiguous to each other, and the mansion near the centre, are situated in the rich and fertile parish of Bosbury, where the plantations of fruit and hops are very extensive, and of the first flavour and quality, within four miles of Ledbury, 4 of Malvern and 12 of Worcester. – Lot 1 is FREEHOLD. Lots 2 and 3 are PART FREEHOLD and PART COPYHOLD OF INHERITANCE, a tenure little inferior. Lot 4 is LEASEHOLD for Lives under the Bishop of Hereford, and tithe-free – and Lot 5 is part freehold, Part Copyhold of Inheritance, and part leasehold, but that part which is leasehold if tithe-free. The Gardener at the Mansion House will, on application, shew the whole of the estates; and further particulars may be known by application to Mr Holbrook, Attorney, Ledbury; Mr Stephens, attorney, Newtown, Montgomeryshire; or the auctioneer, Worcester. NB if Lots 1, 2 and 3 should not be sold, the same will be Let. Printed by J. Tymes and sons, Worcester. Copy in the possession of Ann Bennion (descendant of John Stedman) seen 27 March 2012. Also appeared in the Hereford Journal of Wednesday 26th October, page 1, column 4. THAT well-accustomed PUBLIC-HOUSE, called the BELL INN, in the Village of Bosbury aforesaid, together with the Land and Outbuilding; comprising a small Orchard, planted with the choicest Fruit Trees in full bearing, a large and fertile Garden, a large and good Malt-house and Malt Kiln, with a Brew-house and Cellars underneath, and an excellent Stable for Eight Horses. Also a House or Tenement adjoining the above, with a good Shop, subject to the Life-Interest of a Woman about Seventy years of age. The aforesaid Public-House and Tenement adjoining are Copyhold of Inheritance, under the Lord Bishop of Hereford, little inferior to Freehold.—The Inn is now in the Possession of Mr. Richard Panting, who has had Notice to quit the same at Michaelmas next. The above Premises would, exclusive of the Public-house, be very convenient for a Maltster, Butcher, or Baker.—The Purchaser will be expected to come into Copy at the next Court, which will holden in May, 1812. For further Particulars apply to Mr. Reece, Attorney; or to the Auctioneer, both in Ledbury. The 70 year-old woman is probably Eleanor Loggen referred to in the will of landlord, Samuel Loggen proved 9/1/1810. Lot 1. A very compact and eligible small Freehold Estate consisting of substantial Messuage, Hop-kiln, and other Outbuilding in a good state of repair, and about 39A. 2R. 8P. of fertile Land, proportionably divided into Hop Ground. Arable, and Pasture, having a young Plantation of Fruit Trees thereon, situated at Catley, in the Parish of Bosbury aforesaid (except a small Piece of Land called Suffield Orchard, containing by admeasurement 2R. 6P. ), lately part of and belonging this Lot. Lot 2. Two Pieces of Arable and Meadow Land, with a Coppice adjoining, called The Quicksetts, containing about 1OA. 3R. 36P. situate near a place called Swinmore, in the Parish of Bosbury aforesaid. For a View of the Premises apply to Mr. Richard Williams (Son of the late Mr. Richard Williams, deceased), who resides at Catley; and for other Particulars at the Office of Messrs. Rickards and Hankins, Solicitors, Ledbury. ALL that most desirable Tithe-Free ESTATE called the OLD COURT, situate in the parish of Bosbury, in this County; comprising a commodious Farm-House with barns, stables, beasthouses, hop-kilns, cider-mill, sheds, and convenient foldyards, together with 372 acres (little more or less) of extremely good and useful Land, proportionably divided into Arable, Meadow, Pasture, and Hop-Ground, and about six acres of Coppice Woodland. The Arable and Hop Land is of superior quality. The Meadow and Pasture Land is good, yet capable of improvement, which may be done by a small expence, s nearly the whole may be irrigated from the Leadon, a good (and in a dropping season muddy) stream of water running the whole line of the Estate. The Plantation of Apple & Pear Trees is extensive, & capable of producing a large quantity of Liquors. The Estate is Leasehold for lives held by two Leases, having three lives in each Lease, under the Lord Bishop of Hereford, at a small reserved rent; is in the possession of Mr. Joseph Hall, a good and experienced Farmer, whose Tenancy will expire at Candlemas, 1823, and who will appoint a person to shew the Estate; and any further information may be had from Philip Stedman, Esq. Razees, Bosbury; Richard Heming, Esq. Kingsland, near Leominster; or Messrs. Holbrook, Solicitors, Ledbury. at whose office a map of the Estate may be seen. A MOST Compact and Desirable FREEHOLD ESTATE, called NELMES, lying within a ring fence, and situate in the several Parishes of Bosbury, Ledbury, and Munsley: comprising a good FARM-HOUSE, three Barns, Stables, Beasthouses, and all other necessary attached and detached Buildings, and also a good Cottage for a Workman on the side of the Farm, Garden, Fold, and sundry Closes of fertile and good Arable, Meadow, Pasture, Orcharding, Hop Ground, and Wood Land, containing in the whole 168A. 2R. (more or less,) in a good state of cultivation, and being near to the Turnpike-roads leading from Hereford to Ledbury, and from Ledbury to Bromyard and Worcester, and distant about three miles from Ledbury, where Lime and other Manure arc to be had on reasonable terms. The above Estate has a proper quantity of fine thriving Timber growing thereon, and is well supplied with water in all seasons. For a view thereof apply to Mr. James Chadney, the Bailiff, on the Premises; and further particulars to Mr. Homes, Attorney, Poolend, near Ledbury; or to the Auctioneer, in Hereford, if by letter, post-paid. TWO MANORS AND SEVERAL FREEHOLD ESTATES, situate in the Parishes of MUNSLAY, BOSBURY, WITHINGTON, and PIXLEY, in the said County of Hereford, comprising in the whole FIVE HUNDRED and TWENTY-FIVE ACRES, THREE ROODS, and EIGHT PERCHES Statute Measure (be the same more or less). Lot I. All that MANOR or Reputed Manor of MUNSLEY, with several Chief Rents, payable for certain Lands belonging to Messrs. Johnson, Green, Mayo and Holmes, Esqrs. ; together with a capital Messuage or Farm House, and all necessary Out-buildings, excellent Orchards, Hop-yards, Arable and Pasture Land, called UPPER COURT, situate in Munsley aforesaid, in the Occupation of Mr Edward Nicholas, whose Term expires upon the 25th of December, 1830; comprising 133 Acres and 15 Perches (more or less). This Lot adjoins Estates of Lord Eastnor, John Johnson and George Mayo, Esqrs. Part of the Land is of superior Quality, and the Orchards and Hop Grounds in their prime. Lot III. All that capital FARM, called CATLEY CROSS, with Dwelling House and necessary Out-buildings, excellent orchards, Hop-yards, Arable and Pasture Land, containing 81 acres, 3 Roods, and 25 Perches (more or less), situate in the Parish of Bosbury aforesaid, in the Holding of Mr. John Morris, for the Term of five Years (unexpired at Candlemas last), at the Annual Rent of Sixty-three Pounds. N.B. This Lot comprises most excellent Ground and Orcharding; and the House and Buildings are good. Lot IV. All that MANOR or Reputed Manor of TEMPLE COURT, and TEMPLE COURT HOUSE. with good and convenient Farm Buildings, very fertile Hop Grounds,Orchards, Arable and Pasture Land, in the Parish of Bosbury aforesaid, in the Holding of Robert Hartland, Esq. on an unexpired Lease of about six Years, at the Annual Rent of £315; comprising 300 Acres, 1 Rood, and 2 Perches (more or less). The House on this Lot is in very excellent repair, pleasantly situated in a fine Wooded Country, commanding fine picturesque Views of the Malvern Hills and rich surrounding Scenery, is now fit for a respectable Family to reside in, and being capable of being converted (at a small Expense) into a most delightful Residency. There is a young thriving Wood of several Acres on this Lot. The Timber on each Lot to be taken at the Valuation to be produced on the Day of Sale. The respective Occupiers will shew the Lots; and for further Particulars apply to SAMUEL ROWE, Esq. Malpas, Cheshire; Messrs. YOUNG and VALLINGS, 3, St.Mildred’s Court, Poultry, London; Messrs. PYE and ALLINGTON, Solicitors, Louth, Lincolnshire; or to Mr. JOSEPH ALLEN HIGGINS, Solicitor, Ledbury, Herefordshire, at whose Office, and at the said SAMUEL ROWE’S, Esq.Maps of the Estates may be seen. N.B. Printed Particulars will be published, with Lithographic Plans of each Estate, and may be had on Application as above; also at the Feathers Inn, Ledbury; Green Dragon, Hereford; Star and Crown Hotels, Worcester; King’s Head, Gloucester; Hen and Chickens, Birmingham; and Talbot Inn, Shrewsbury, one Month previous to the Sale. ALL that Valuable FREEHOLD MESSUAGE or TENEMENT, and WATER CORN MILL, called DODD’S MILL, having two Pairs of Stones, and Iron Water Wheel, Cider Mill and Mill-house, Stable, Wainhouse, and a productive Garden, and three Parcels of excellent Meadow Land thereto belonging, part of which is well planted with Fruit Trees, and contain together by estimation Seven Acres or thereabouts, situate in the Parish of Bosbury, in the County of Hereford, and now in the occupation of Mr. Thomas Morris, Miller. These Premises are substantially built, have a good supply of Water, and are well situated for the Ledbury, Bromyard, and Worcester Markets. To View the Property, apply to Mr. Morris, the Tenant; and for further Particulars, (if by letter, post-paid), to Mr. James Gregg, Solicitor, or the Auctioneer, Ledbury. THE RAZEES MANSION HOUSE and ESTATE, pleasantly situated in the parish of BOSBURY, in the County of Hereford, containing 148A. 2R. 10P. The MANSION is suitable for the immediate reception of a genteel Family - a flight of stone steps at the west-front leads to a spacious hall, from which you enter a dining-room, drawing room, breakfast parlour, and small library; a spacious and handsome oak stair-case leads to the bed-rooms: on the south front are two pleasant promenade balconies, each near 40 feet long, the upper one covering and protecting the lower one: a flight of stone-steps leads from the lower one to the Lawn and Gardens which are enclosed with Brick Walls on the north, east and west sides. clothed with Wall Trees - the Garden is tastefully laid out, and very productive. On the north of the Mansion are the Stables, Barns, Cider Mill, Hopkiln and other useful and convenient Buildings, with Folds and Rick-yards. The ESTATE is well planted with Fruit Trees, most of them in their prime, and (with the exception of two pieces), lies within a ring fence - 130A. 1R. 7P. being Freehold on which stand the Mansion and Buildings; 13A. 3R. 0P. Copyhold of Inheritance; and 4A. 1R. 3P. Leasehold with three good Lives, held under the Bishop of Hereford, but no fine is payable on renewal, the proprietor of a large Estate in the parish being under covenant to renew at his own expense on the death of either of the Lives, and this last land is Tithe-free. - The Land is proportionably divided into Meadow, Pasture, Hop-land, and Coppice Wood: the Land Tax, £4 19s. per annum; the Chief Rent for Copyholds, 17s. 10d., and Reserved Rent for the Leasehold, £1 per annum; Fines are payable for the Copyholds on death or alienation only. In the occupation of Mr. James, tenant at will. The HOUSE stands near a good Road, about one mile and a half on the eastward side of the Turnpike-road leading from the Market Town of Ledbury, to the Market Town of Bromyard, distant from the former five, the latter eight, the City of Worcester 10, the celebrated villages of Great Malvern and Malvern Wells about four miles each. LOT 2. THE UPPER TOWN-END ESTATE, consisting of a good Farm-house, Stables, Barns, Hopkilns. Cider Mill, Cow Sheds, Fold Yards, and 87A. 0R. 7P. of very useful Land, proportionally divided into Meadow, Pasture, Arable, and Hop-land, in a good state of cultivation, part of which is well planted with fruit trees capable of producing one hundred hogsheads of Cider and Perry in one year, in the occupation of Mr. Philip Steadman Sparkman, whose term expires the 2nd February, 1834. This lot adjoins the last, and although it does not interfere with, would be a desirable addition to the Razees Mansion and Estate. The Freehold part of this Lot is 11 Acres; the Copyhold 75A. 0R. 9P. ; and the Leasehold 3R. 38P. The Copyhold and Leasehold are held by the same tenure as stated in lot one. The Land-Tax on this lot is £3 per annum; Chief Rent 16s. 6d. ; and Reserved Rent for Leaseholds 4s. 11d. LOT 3. The RIDDINGS ESTATE, consisting of a new Brick-built and Slated Farm-House, and Garden, Stables, Barn, Hopkilns, and Cider Mill, and 101A. 0R. 12P. of Meadow, Pasture, Hop and Wood Land, proportionably divided. The Land is particularly adapted for the growth of Timber and Coppice Wood. This Estate contains 61A. 0R. 26P.Freehold Land, and 29A. 3R. 26P. of Copyhold of Inheritance, held by the same tenure as before stated, in the occupation of Thomas Homes, tenant-at-will. The Land-Tax is £3 6s. 4d. per annum, and the Chief Rent 19s. LOT 4. Two Pieces of excellent MEADOW LAND, lying in Common Meadow, called Catley Rye, containing 1A. 2R. 13P. This land will be sold subject to a Land-Tax of 9d. per annum, and is in the occupation of Mrs. Palmer, tenant-at-will. The whole of this valuable Property is situated in the Parish of Bosbury, in the County of Hereford. The Tenants will show the respective Lots; and Printed Particulars may be had of Mr. Bentley, the Auctioneer, Worcester; Messrs, Bicknell, Robarts and Finch, Solicitors, No. 6, Lincoln’s Inn, New-square, London; of Mr. Jones, Land-surveyor, and Mr. Holbrook, Attorney-at-Law, both of Ledbury, at whose Offices Maps of the Estate may be seen, and any further information obtained. The Timber to be taken at a valuation. ALL that superior MANSION HOUSE and ESTATE, called THE RAZEES, situate in the parish of Bosbury. the County of Hereford, containing 117A. 2R. 10P. of Land. The Mansion is pleasantly situated and suitable for the immediate reception of a genteel family; a flight of stone steps at the West front leads to spacious Hall, from which you enter a Dining Room, Drawing Room, Breakfast Parlour, and small Library; a spacious and handsome oak staircase leads the Bed Rooms. On the South front are two pleasant promenade Balconies, each nearly 40 feet long, and commanding an extensive prospect, the upper one covering and protecting the lower one; a flight of stone steps leads from the lower one to the Lawn and Gardens, which are enclosed by brick walls; the North, East, and West sides are clothed with wall trees; the Garden is tastefully laid out and very productive. On the North side of the Mansion are the Stables, Barns, Cider Mill, Hop Kiln, and other useful and convenient buildings, with Folds, and Rick Yards. The Estate is well planted with Fruit Trees, and, with the exception of two pieces, within a ring fence; 129A. 2R. 7P. being Freehold, on which stand the Mansion aud Buildings; 13A. 3R. 0P. Copyhold of Inheritance; and 4A. 1R. 3P. Leasehold for three good lives, held under the Bishop of Hereford, but no fine payable on renewal, the proprietor of a larger Estate in the parish being under covenant to renew at his own expence, on the death of either of the lives, and this last land is Tithe Free. The Land is proportionably divided into Meadow, Arable, Hop Land, and Coppice Wood. The Land-tax, £4. 10s. Od. per annum ; chief rent for Copyholds, 17s. 10d. ; reserved reut for Leasehold, £1. per annum. Fines are payable for the Copyholds on death or alienation only, in the occupation of the proprietors. The Mansion stands near a good road, about a mile and a half on the Eastward side of the turnpike road, leading from the town of Ledbury to the market town of Bromyard, distant from the former five, the latter eight, the City of Worcester ten, the celebrated Villages of Malvern and Malvern Wells, about four miles each. There are two workmen’s Cottages ou the Estate..
Further particulars may be had on application to Mr. Hobbs, Auctioneer; Thomas France, Esq., Solicitor, Worcester; Messrs. Higgins, Solicitors, Ledbury; or to Mr. Hill, Solicitor, No. l6, Foregate-street, Worcester, and Blackhall-street, Kidderminster; the latter has a Plan of the Estate. Crops of Corn, Fruit, and Aftermath, on the RAZEES ESTATE, in the parish of Bosbury, 4 miles from Ledbury, Herefordshire; the Straw to go off. On the spot, on Friday next, the 7th of August, at ten o’clock, by direction of the Trustees of Mr. P. H. DANIEL. COMPRISING 23 ACRES of excellent WHEAT, in several Pieces; 13 Acres of Beans, 4 Acres of Pease, 6 Acres of Vetches, 4 Acres of Oats, and 26 Acres of Aftermath; also the abundant Crop of beautiful Fruit, in various orchards; and it must be observed that this parish stands unrivalled for prime Cider Fruit. Catalogues may be had on the Premises; the Inns in the Neighbourhood; Feathers and George Inns, Ledbury; Falcon, Bromyard; and Mr. Hobbs, Worcester. All that newly-erected Brick-built and well-arranged MANSION and PREMISES called the GRAINGE, situate in the parishes of Bosbury and Coddington, three miles from the town of Ledbury, in a Ring Fence, containing by admeasurement 173A. 3R. 2P. now in hand. The whole of these Premises, Farm Buildings, Coachhouses, Stabling, Vinery, Fountains, Offices, &c, are of the best description tastefully laid out, built, and arranged under the immediate inspection of the Proprietor, with excellent materials of the most substantial order. There is a constant stream of water, called Southfield Brook, running from East to West, forming the boundary of this estate from that of Thomas Heywood, Esq., of Hope End. It is particularly and sufficiently stocked with Game, with small and ornamental Plantations and Covers well adapted for its preservation, and beautifully timbered. There is a Gothic Chapel also belonging to this Estate, by the repairs of which (being now in perfect order) it stands free of the church rate; 138 acres of this Land is Freehold, and the Copyhold part about 36 acres. The Land Tax, £8 9s. 2d., Chief Rent, 14s. 4d. The whole being well worthy the attention of the capitalist; or for residence, one of the completest things offered in this county for years past. LOT 2. All that MESSUAGE, TENEMENT, and FARM HOUSE, called the LOWER TOWNEND, being an adjoining estate, with the Barn, and other useful Outbuildings, and 21A. 1R. 14P. of Land, 10 whereof are Freehold and the remainder Copyhold of Inheritance; Land Tax £1, Chief Rent, 2s. 6d. ; now in the occupation of WILLIAM PALMER and JAMES FIELD, situate in Bosbury aforesaid. LOT 3. All that MESSUAGE or TENEMENT and FARM HOUSE, called the UPPER TOWNEND, with the Barn, Cider House, Hop-kilns, and other useful Outbuildings , divided from the last lot by the road leading from Bosbury Church to Coddington, containing by admeasurement 54A. 3R. 20P. ; land tax £2, chief rent 14s., reserved rent 4s. 11d. ; the whole being Copyhold of Inheritance, except of one acre of Freehold, and 3R. 30P. of Leasehold, now in the occupation of the said WM. PALMER, also in Bosbury. LOT 4. All that Freehold newly-erected MESSUAGE, with the Barn, Gardens, Piggery, and three Pieces or Parcels of Meadow, Arable Land, and Orcharding, being part of the MOATS ESTATE, containing by admeasurement 13 acres, now in the occupation of the Proprietor and WILLIAM SMART; Land tax 10s., also in Bosbury. LOT 5. All that Freehold MESSUAGE, with the Cider Mill, Buildings, Garden, Piggery, and Orcharding adjoining last lot, and containing by admeasurement 2½ acres more or less; land tax 2s., now in the occupation of WILLIAM HEAVEN, as aforesaid. LOT 6. All that Freehold brick-built MESSUAGE, with two walled gardens, a large Malthouse, also newly-erected, and other convenient Buildings thereto belonging, situate in the parish of Ledbury and now in the occupation of Mr. JOSEPH BIRD, Auctioneer, on a gentle eminence in the suburbs of the town, adjoining the road from Hereford and Bromyard to Ledbury; the Gardens are delightfully situate, and abundantly stocked with fruits of all sorts. LOT 7. All that Freehold and newly erected MESSUAGE, WALLED GARDEN, &c, adjoining to lot 6, in the occupation of Mr. J. L. SMITH, Solicitor: this Garden is also planted in the same style, and very productive. LOT 8. All those three Freehold MESSUAGES situate in the Bye-street in the town of Ledbury aforesaid, and now in the occupation of JOHN FAWKE, Butcher, and others. 10. All that Freehold MESSUAGE, LANDS, and BUILDINGS, containing 14 acres, desirable as building land. This Lot may be divided, if not Sold by Auction, and is advantageously situate in the parish of Ashperton , bounded by Lands of E. T. Foley, Esq., and the Rev. J. Hopton, on all or most parts and sides thereof. 11. All those Four newly-erected COTTAGES and PREMISES situate in Sheep-street, in the town of Bromyard, well-tenanted, at the rental of per annum. 12. All those Two Copyhold COTTAGES, situate the township of Winslow in the county of Hereford, the occupation of Mr. James Benbow, and others, divided into Gardens and two small Orchards, called Juniper Acre. 13. All that Freehold Newly-erected MESSUAGE and GARDENS, situate at Castlemorton, in the county of Worcester, and now in the occupation of John Bubb, mason. 14. All that Piece of Copyhold LAND, situate in the parish of Bishop’s Froome, in the occupation of William Morgan, containing about 3 acres of most excellent Orchard Land, which is very productive. There is also a quantity of young growing Timber on this Lot. 15. A piece of Copyhold LAND, on Summer-Pool-Hill, containing one acre, or thereabouts, rented by Thos. Sandford. 16. All that Piece or Parcel of Copyhold LAND and HOP-GROUND, called LIDLOW HOPYARD, containing by measurement 3 acres, or thereabouts, situate in Bosbury, in the rental of Mr Thomas Kendrick. 17. All that customary and substantial Brick-built FARM HOUSE and BUILDINGS, called DOWDING’S BROOK, containing 5 acres of excellent Orcharding, now in perfection, in the rental of Mr. Thomas Kendrick aforesaid. 18. All that Parcel of Freehold Arable LAND, situate at Wassell Field, containing by estimation 1 acre and 2 roods. Same occupation. 19. Also another PIECE, in same Field, containing three roods of Freehold Arable LAND, nearly adjoining last Lot, and in the same occupation. The Property above described is advertised with the intention of selling the same, and the principal Lot, One, being the residence of the Proprietor, Mr. Robert Phelps, he has spared no expense on the House and Buildings, the whole which is quite new and of the best order. The Auctioneer can therefore with confidence, solicit the man of capital to view, as the Property will exceed every expectation, in the depth and quality of its soil, cultivation, scenery, and the high respectability of its neighbourhood. The Tenants of the other Lots will give permission to view; and any further particulars may be had of the Proprietor as above, and the Auctioneer, Saint John’s Street, Hereford. GRAINGE, BOSBURY, HEREFORDSHIRE, Four miles from Ledbury, on the Bromyard Road. SIX barren cows, (Herefords,) one Alderney cow and calf, two half-bred Alderneys, early to calve, six 2-year-old Herefords, in calf, eight steers, forty very superior ewes in yean, three fat ditto, and five wethers, four curious 5-year-old wethers, upwards of 40lbs per quarter, grass fed, and three rams of different ages; a well-known black cob horse, seven years old, fast and steady in harness, a strong bay mare, six years old, in foal, a superior roadster, a bay horse, nearly thoroughbred (blemished) capital in harness, a black poney, five years, will carry a lady, six stout bay wagon mares, all young, warranted sound and good workers; a well-bred boar pig, sows in farrow, stores, &c.; two broad-wheel wagons, one light, the other stout, dashboards, &c. complete, broad carts, a tilt market ditto, seven sets gearing, ploughs, drills, heavy oak roll, scuffler, harrows, four Wheat ricks, a fine Barley ditto, Beans and Hay ditto, and thirty Cider Hogsheads. Catalogues to be had at the Feathers Inn, Ledbury, the place of sale, and of the Auctioneer, Hereford. Sale to commence precisely at 11 o’clock. COMPRISING four well-bred Hereford cows in calf, one 3-years-old heifer in ditto, one ditto with calf, four 2-years-old steers, an excellent 2-years-old bull, one stag (nearly fat), and a fresh Alderney Cow, fourteen well-bred ewes with lambs and to yean*, twelve yearling sheep, and two rams, four prime cart geldings, young, sound, healthy, and the best of workers, three ditto mares, one 2-years-old and one yearling colts, and brown cob gelding (famous gigster). THE IMPLEMENTS (which are nearly new) consist of a capital broad-wheel wagon with double shafts, coke and lime boards, complete, three narrow-wheel ditto, four broad-wheel carts, dray, roll, 5 Lammas ploughs, two double and two single sowing ditto, four pairs of heavy and two of light harrows, drill, nine suits of long and three of thiller’s gears†, bows and traces, yokes and chains, chaff engine, wagon and timber ropes, ladders, hurdles, hay knives, pikes, rakes, dung hooks and forks, and various other tools; hop cribs with awnings, kiln and cider hairs, hop roll, riddle and bars, winnowing machine and fan, sieves, riddles, measures, sack cart, tarpauling, large must tub, racking cans, tunpails, grindstones, hog bin and trough, side-saddle, pillion, &c.; carpenter’ workbench and lathe; together with part of a mow of oats and vetches; excellent set of DAIRY ARTICLES, comprising two stone cheese presses with iron screws, two barrel churns, milk pails, skeels , tins, pans and warmer, cheese vats and cradle, stand and shelves, butter baskets, salting stone and tub. THE HOUSEHOLD FURNITURE consists of four-post and stump bedsteads, mahogany chest with drawers, clothes press, sofa with cover, chimney glass, set of dining tables (with circular ends), pillar and claw tables, kitchen table and benches, settle, cupboard, 30-hour clock, kitchen and parlour fenders, iron boilers and furnaces, steelyards, wood bottles and sundry articles. The livestock and implements will be sold on the Thursday; the dairy articles, household furniture, &c. on the Friday; commencing each morning at 11 o’clock. * ‘to yean’ is said to mean ‘bear offspring’. † ‘thiller gears’ seem to be a type of horse harness unknown nowadays. A SMALL compact FREEHOLD ESTATE, called THE MEERINGS, situate in the Parish of BOSBURY aforesaid: comprising good FARM MESSUAGE or TENEMENT, Outbuildings,and about TWENTY-TWO ACRES of very valuable LAND, proportionably divided into Meadow, Pasture, and Hop Ground, and Arable in a good state of cullivation, the greatest part planted with choice Fruit Trees, in a vigorous and thriving state, now capable of producing in a bearing year upwards of sixty hogsheads of prime liquor; with a new-built Barn, and other Outbuildings standing thereon. The Tenant will shew the Premises, and further particulars may be known on application to Mr. Jones, Solicitor, Mr. Masefield, Solicitor, or the Auctioneer, all of Ledbury. THAT Old-established, well-known and accustomed PUBLIC-HOUSE and PREMISES, called the CROWN INN situate at the entrance of the village of Bosbury, leading from the Bromyard and Ledbury Turnpike Road; comprising a substantial stone and brick-built house, containing kitchen, brewhouse, small, parlour, bar, and an elegant large room, the walls of which are clothed with wainscoat in the ancient style, parts superbly carved, aud the ceilings ornamented with antique and magnificent carvings, a capital underground cellar, and four good bed-rooms, passages and other conveniences on the chamber story, a butcher’s shop, stable, cider-mill house, piggery, yard, large productive garden, and excellent grass orchard, planted with the choicest fruit trees, capable of producing from 20 to 30 hogsheads of cider and perry in a season of the finest quality, containing together 1A. 3R. 2P., and all in complete order. This Property is most advantageously situate, being 16 miles from Worcester on the Turnpike Road, 4 from Ledbury, and 9 from Bromyard; where a capital business has been carried on to a great advantage for upwards of 35 years, by the late Proprietors Mr. Thomas Alford, and his widow, Mrs. Mary Alford. For view and particulars apply to Mr. Henry Treherne, or Mr. John Palmer in Bosbury aforesaid; to Mr. Masefield, Solicitor, or the Auctioneer, Ledbury. THAT useful and desirable ESTATE, called the FARM, and in a good state of Cultivation, containing nearly 300 Acres of rich, fertile, and productive Land, judiciously and suitably divided into Orcharding, Sward, (which is irrigated), Hop, and Tillage Land. The Orcharding on this Estate is capable of producing upwards of 300 Hogsheads of prime Cider and Perry in a fruitful season. The greater portion of the Hop-land last year produced 12½ cwt. of Hops, per hop acre. The Farm is within half a mile of Staplow Wharf, which gives great facility in the delivery of the produce. To attempt to describe the advantages of this useful Estate, would exceed the limits of an Advertisement. For particulars, aud treating for the same apply (all letters pre-paid), to Mr. H. Trehern, Bosbury, Great Malvern. This Advertisement will not be repeated. 50 OAK TREES, standing and growing in the Yew Tree Grove, on the Hill Estate aforesaid, numbered progressively from 1 to 50. Lot 2.— Fifty Ditto ditto, in the Yew Tree Grove. Lot 3.—Fifty Ditto ditto, in the Yew Tree Grove. Lot 4—Fifty Ditto ditto, in the Yew Tree Grove. Lot 5.—Part of Catley Court COPPICE, adjoining Foxhill Common Field, containing about One Acre; Stores marked Red. Lot 6.—Other Part of said Coppice,nearly adjoining Lot 5, containing One and a Half Acre; Stores Red. Lot 7.——Eight MAIDEN OAK TREES, and One BUR OAK, at the top of the aforesaid Coppice, numbered from 1 to 8, and the Bur No. 1, with White Paint. Lot 8.—Thirteen MAIDEN ELM TREES, standing and growing in the Upper Meadow, numbered with White Paint. Lot 9. —Twelve Ditto ditto, in the Lower Meadow, numbered 1 to 12, with White Paint. Lot 10.—Ten Ditto ditto ditto, 13 to 22, ditto. Lot 11.—Thirteen MAIDEN OAK TREES, in the Upper Meadow and the Old Hopyard or Seven Acres, numbered with White Paint. Lot 12. —Thirteen MAIDEN OAK TREES, standing and growing in the Orles, Old Orchard, Little Meadow, the Dingle, Wheat Orchard, and Yeald Meadow, numbered with White Paint; and also No. 1 Oak in a small Meadow near to the Bromyard-road at Stanley Hill. The above Timber is distant from the Herefordshire and Gloucestershire Canal Two Miles, Ledbury Four, and Worcester Twelve.—The Elm Timber very long and of good girtn, and the Oak is deserving the attention of the Staffordshire Timber Trade. For a view of the first Four Lots, apply to EDWARD JONES, the Woodman of John G. Freeman, Esq., near to tne Hill Estate aforesaid and for the last Eight Lots, to the tenant (Mr. Maddocks) on Catley Court aforesaid; and all other information to the AUCTIONEER, Ledbury. TO BE SOLD, pursuant to an Order of the High Court of Chancery, made in the cause of “Holloway against Poole,” with the approbation of the Judge to whose Court the said cause is attached, on Wenesday, the 28th day of April, 1853, t 12 o’clock at noon, at the Auction Mart, in the city of London, in six lots, namely:—Lot 1. An ESTATE, partly freehold and partly copyhold, called the Farm Estate; comprising a modern brick-buit dwelling-house, a water corn-mill and dwelling-house, labourers’ cottages, agricultural buildings, and arable, meadow, pasture, orchard and hop land, and containing 317a. 3r. 24p., situate in the parsih of Bosbury, in the county of Hereford, distance from Great Malvern 6 miles, Ledbury 4, Hereford 11, Worcester 13, and Glocester 20 miles. Lot 2. An estate, partly freehold and partly copyhold, comprising a dwelling-house, stabling, cider-mill, outbuildings, garden, and two orchards, containing 3a. 0r. 16p., situate in the said parish of Bosbury. Lot 3. A Freehold Piece of Arable Land, containing 2a. 1r. 20p., situate in the said parish of Bosbury. Lot 4. A Piece of Freehold Meadow Land, containing 1a. 0r. 17p., situate in the parish of Bishop’s Frome, in the said county of Hereford. Lot 5. A Freehold Cottage and Garden, called the Steps, containing 2 roods, situate in the said parish of Bishop’s Frome. Lot 6. A Freehold Piece of Meadow Land, called the Upper and Lower Homme Meadow, containing 12a. 1r. 21p., situate in the parish of Ledbury, in the county of Hereford. Printed particulars with maps and conditions of sale, may be had (gratis) of Messrs. Miller and Son, Solicitors, No. 24, Eastcheap, London; Messrs. Mutlow and Barber and Mr. Masefild, solicitors, Ledbury; Mr. Lovegrove and Mr. Washbourn, solicitors, Glocester; Messrs. Singleton and Pitman, solicitors, No. 9, Great James-street, Bedford-row, London; Messrs. Dobinson and Geare, solicitors, No. 57, Lincoln’s-inn-fields, London; Messrs. Vallance and Vallance, solicitors, No. 20, Essex-street, Strand,; Messrs. Nicholls and Doyle, solicitors, No. 2, Verulam-buildings, Gray’s-inn, London; at the Feathers Inn, Ledbury; at the Green Dragon Inn, Hereford; at the Greyhound Inn, Glocester; at the Star and Garter, Worcester; at the Auction Mart, London; and of Mr. Thomas Young, auctioneer, at his offices, No. 40, Pall-mall, London. ALFRED HALL, Chief Clerk. MILLER and SON, Plaintiffs Solicitors, 24, Eastcheap, London. 14 miles from Hereford, 4 from Ledbury, 7 from Malvern, and 15 from Worcester. Unreserved SALE of Ten powerful CART GELDINGS and MARES, Sixteen two-years-old and Twelve three-years-old STEERS (outliers), AGRICULTURAL IMMPLEMENTS, GEARING. CIDER and CASKS, &c.
MR. WILLIAM JAMES respectfully announces that the remaining part of the Valuable LIVE and DEAD STOCK, upon the about Estate, will be SOLD by AUCTION, on Thursday, the lst day of MARCH, 1860, by direction of the representative of Mr. Thomas Inutt, deceased. Full particulars will appear in Catalogues and future Advertisements. Postscript: Thomas Inett was buried in Bosbury churchyard on 25 February 1859. 14 miles from. Hereford, 4 from Ledbury, 7 from Malvern and 15 from Worcester. Valuable off-going Crop of WHEAT, empty CASKS, &c.
N. B.—At the same time and place will be submitted to Public and Unreserved Competition, 50 well-seasoned English Oak Hogsheads, 14 Store Casks, from 200 to 350 gallons each, 4 Half-hogsheads, Tubs in variety, Tunpails, Racking Cans, &c.
SWINMORE COMMON INCLOSURE—The sale of Swinmore Common, containing 8a. lr. 20p., in the parish of Bosbury, took place at the Bell Inn, Bosbury, on Monday last, Mr. Nathaniel Taylor, Worcester, acting as auctioneer; Mr. George Masefield, of Ledbury, as solicitor; and Mr. Philip Baylis, of Ledbury, as tbe valuer. The competition was spirited, Mr. John Pitt, of Weston Beggard, being the purchaser, at the sum of £285. FOR SALE BY AUCTION. LOT 9 THE GABLES BOSBURY, HEREFORDSHIRE A DETACHED FARMHOUSE WITH SOME 13 ACRES Of PASTURE LAND WITH SUPERB VIEWS TOWARDS THE MALVERN HILLS. The property is situated in a quiet and secluded position and is approximately 11 miles from Worcester, 5 miles from Ledbury and 7 miles from Malvern. It is of brick construction with a tiled roof and provides accommodatan on two floors comprising: Entrance Hall, Lounge, Dining-room, Sun Lounge. Kitchen, Three Bedrooms, Bathroom. Outside: A Range of Outbuildings including four Cattle Sheds, Meal Store, Pig Sty and Two Nissen Huts. Worcester Office: Solicitors: Hulme, Parry, Huzzy and Davies, 2/3, Pierpoint Street, Worcester Tel: 25531. Also listed in column 1 on the same page as being FOR SALE BY PRIVATE TREATY with the same description. THE whole of the LIVE STOCK, HAY, STRAW, CIDER. CASKS, PHAETON, DAIRY ARTICLES, HOUSEHOLD FURNITURE of useful and general description, Home-cured BACON, and numerous other EFFECTS: comprising 1 capital Milking Cow in calf, 1 ditto in full milk; quantity of Hay and Bean Straw in Barn; Wood, Iron, and Stone Pig troughs, Wheel Chair, Phaeton, Farming and Garden Tools, Sieves, Riddles, Measures, Bean and Malt Mill, Cider, Hogsheads, Barrels, Tunpail, Racking Cans, Cider Hair and other Cider-making Implements. DAIRY ARTICLES. —Barrel Churn, Cheese Cowl, Milk Pails, Cheese Press, Butter Skeels, Cheese Vats, Butter Scales, Meat Safe, &c., &c.
HOUSEHOLD FURNITURE.—Four-post and Tent Bedsteads with Furniture, Mattresses, excellent Feather Beds, Bedding, Linen, Wash aud Dressing Tables, Swing Glasses, Chests with Drawers, Linen Chests, Night Commode, Carpeting, and various other chamber Appointments, Dining and other Tables, Parlour and Kitchen Chairs, Sofas, Couch, Carpet and Hearth Rugs, Oak Dresser with drawers, Cupboards, American Clock, Fenders, Fire Irons, Benches; Iron, Brass, and Copper Boilers and Teakettles; a quantity of useful Culinary articles, Three Sides and Hams of prime home-cured Bacon; China, Breakfast, and Tea Services, Glass, Earthenware, and numerous other articles. Sale will commence at Twelve o’Clock. N.B.—House and Land to Let.&mdsah;Apply to Mr. THOMAS PITT, Freetown, Stoke Edith. A Well-maintained Residential and Agricultural Property. BOSBURY HOUSE a particularly attractive moderate-sized Georgian Residence. with excellent Stabling, Garage Accommodation and Outbuildinga. Two Cottages. Attractive Walled Gardens with Lawns and Fine Trees. Also UPPER AND LOWER TOWNEND FARM, a First-Class Holding and Hop Farm (Quota 183 cwts.) of about 172 acres, with a superior Farmhouse, modern buildings and two Cottages. BROAD OAK FARM with 14 acres (Hop Quota 63 cwts.) Valuable Accommodation Fields with Road Frontages; A Small Holding, Several Cottages and 19 acres of Valuable Matured Woodland—mainly Oak. John D. WOOD & CO.
on TUESDAY, MAY 17th. 1938, at 4 o’clock. By Order of Major R S Brander. CODDINGTON COURT, a dignified Georgian Residence of character, containlng Hall, 4 Reception Rooms, 8/10 Bedrooms, 3 Bathrooms, compact Offices. “Esse” Cooker. Electricity. Central Heating. Gardener’s cottage (service tenancy). Old Matured Grounds, etc. Block of Excellent Farms, Smallholdings, Cottages, and Woodlands, near Bosbury including: HILL FARM; CATLEY CROSS FARM; NOTE HOUSE FARM; CATLEY COURT FARM; GREAT CATLEY FARM; LITTLE CATLEY FARM; and GOSPEL YEW FARM. Also THE MALT HOUSE. Evendine Lane, Colwall, and Land adjoining. The whole Estate is let to good tenants, with the exception of Coddington Court, 1 Cottage (service tenancy), and Grounds, in the occupation of the Vendor, and offered with Vacant Possession. Total area about 692 Acres. Will offer the above Estate for Sale by Auction in Blocks and Lots, unless sold privately previously, on July 20th, at 3 p.m. at the Town Hall. Ledbury. Solicitors: Messrs. Bridges, Sawtell & Co., 2/3, Warwick Court, Grays Inn, London, W.C.I. Mr. Charles Arnold Crane, of The Reddings House, Badgeworth, in his younger days a keen Rugby enthusiast, at one time president and later secretary of the Rugby Union, who had played for the Midland Counties, and who died on February 19. aged 93 years, left £38,635 gross, £38,306 net value. (Duty paid £9,212). He left the proceeds from the sale of the Bosbury Estate, Herefordshire, upon trust for his son Henry for life, with remainder as he may appoint to his (son’s) wife for life, and then to his children; his shares, etc., in Stewart and Lloyds Ltd. upon trust for his daughter, Gertrude E. Crane, for life, with remainder to the children of his son, Henry, attaining the age of 21 years; £100 and certain effects to his wife, and the residue upon trust for her during widowhood, with remainder to his daughters Gertrude, Evelyn and Frances, the share of his daughter Gertrude to be double that of the others. Probate has been granted to his son, Captain Henry B. Crane, C.B.E., R.N., retd., of Hamble Cottage, Warsash, Hants., his son-in-law, Brig. Alfred C. C. Willway, C.B.E., J.P., of Kiln Field, Puttenham, Guildford, and to Sir Gilbert McIlquham, solicitor, Cheltenham. Postscript: At the time of the 1910 Land Valuation, Charles Crane owned The Farm and 344 acres of land, Lower Mill and 9 acres, Sugarcroft and 5 acres, Staplow Wharf and 3 acres of land and an orchard. (Ledbury 5 miles, Malvern 7 miles, Worcester 13 miles). Including: Old Britanny Armoires, Wardrobes and Cupboards; Old English Oak and Mahogany Chests of Drawers; Queen Anne and Sheraton Toilet Mirrors; Bedsteads; CHIPPENDALE TALLBOY and Bureau Bookcase; Upholstered Easy Chiars, Settees Oak Coffers and Bureau. BILLIARDS TABLE by Burroughs and Watts, Early English Refectory Table; CHARLES ARMCHAIRS; JACOBEAN SETTLE; Eight Spanish Chairs; COLLECTION OF POTTERY, PORCELAIN & GLASS; OLD ENGLISH SILVER, including examples of Queen Anne and early Georgian periods. Gould’s Birds of Europe, Gorer and Blacker’s Chinese Porcelain and Hard Stones, Rossini’s Antichita di Pompei and Views in Rome, and books with coloured plates. Oil paintings, plated articles, brass, copper, kitchen, domestic and outdoor effects. On View: (By catalogue only), on Monday, 18th September, from 10 a.m. to 4 p.m.
By direction of J. G. Foster, Esq. The property occupies an elevated position, enjoying superb views over the surrounding countryside. The Farmhouse is ripe for further extension and modernisation and in all stands in approximately 19½ acres. It is within easy commuting distance of Worcester 12 miles, Hereford 13 miles, Ledbury 5 miles and Malvern 7 miles. The accommodation comprises: Entrance Hall. Lounge. Dining - room. Breakfast - room / Kitchen. Bathroom. Large Landing. Three bedrooms. Outside: Range of Out-buildings. Pleasing Gardens. The land is contained in a ring fence and in all under pasture and is watered on a northern boundary by a stream. Solicitors: Whiteley & Pickering, Beech House, Redditch, Worcs. ON TUESDAY 19th JULY, AT 3 p.m.
Mains water and electricity. No ingoing. Vacant possession. The majority of the land is pasture, in large open fields, on a south slope. Long road frontages.